Whether you prefer to call it mess, disarray, or even chaos, having excess clutter around the house can become a real problem if it's left unchecked. Every room in the house is prone to attracting its own share of hodgepodge and untidiness, so it's up to us to not only design our houses in the most beautiful, aesthetically pleasing and functional ways as possible, but to also keep them in order on a day-to-day basis (otherwise, what's the point of having a beautifully designed domestic space in the first place?). House clutter can be an insidious thing: it sneaks up on you slowly. The best policy for keeping it in check? A good and thoughtful assemblage of furniture, features and accessories: the ultimate clutter mitigation plan. Whether you're a household hoarder, or just a little too busy to stay on top of that accruing household mess, you might appreciate today's homify look at some of the best way to keep your clutter free: a 7-step guide to clean, neat and organised domestic bliss. It's often said that first impressions give away the measure and tone of the rest. When it comes to the home, the hallway or entrance is where we gain our first impressions of the domestic experience to come, so it becomes vital that we present a fully clutter-controlled, free and easy introduction. What's the state of your hallway or entrance? Open, airy and welcoming? Or jam-packed with bits and pieces that really need not be there, causing mayhem with your home's otherwise easy flow? If it's the latter, you might want to attend to your hallway with a good and thorough clutter overhaul. When it comes to the hallway, the saying 'less is more' is absolutely true. However, in saying that, don't be afraid to add where the impulse might be to remove: as we see in the neat example, a colourful, light and airy hallway space is streamlined and made even more fantastic by the addition of a purpose-built storage unit, fit for anything and everything, including—if you're not one to keep them in line—shoes (which are one of the most chronic culprits when it comes to hallway clutter). Create a smooth, orderly hallway: pick a single piece of furniture that can keep everything in one place and out of the way. The rest of your home will be thankful for it! Making decisions about interior overhauls and remodelling can be tricky to navigate. Why not have a chat to a professional for some guidance and a few extra tips? Everyone has, at some point, probably dreamed of having a fully stocked home cellar beneath the ground floor of their home—most likely where a rich room full of delicious, exotic international wines are lurking, waiting to be drunk. Well, not all cellars are necessarily designed for storing bottles of vintage red; in fact, many household designers are choosing to implement cellars as a basic, multi-purpose storage solution. When closets and cupboards become too full with other necessities, a well-designed cellar can effortlessly come to the rescue. 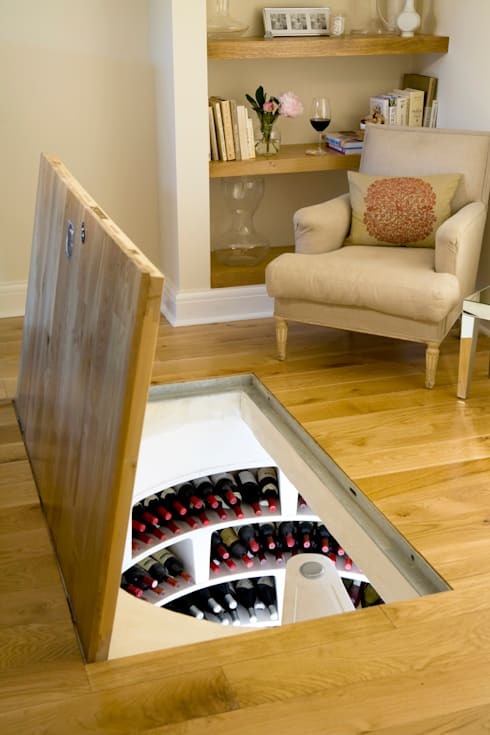 Whether it's set up for wine or not, simply having access to an additional space carved out beneath the home can be a really fantastic and versatile option for your excess storage. Deep in the ground, out of sight and out of mind, excess clutter simply won't stand a chance! Shoe lovers unite! For those of us out there who can't help but keep buying new shoes (or keeping our old ones with us), it's ultra important to keep our footwear organised in a tidy and efficient manner. As we mentioned earlier, shoes are one of the prime offenders when it comes to household clutter crimes, so efforts must be doubled to quell the potential mess to come. As we see in this simply fabulous example, the clearly shoe-loving occupants of this home understands the implications of their obsession, and have acted accordingly with a well-designed, floor to ceiling purpose-built shoe cupboard. For those of us who enjoy shoes in a far more modest quantity, a simple collection of racks or shelves would work equally well in an existing cupboard unit or compartmentalised wardrobe. 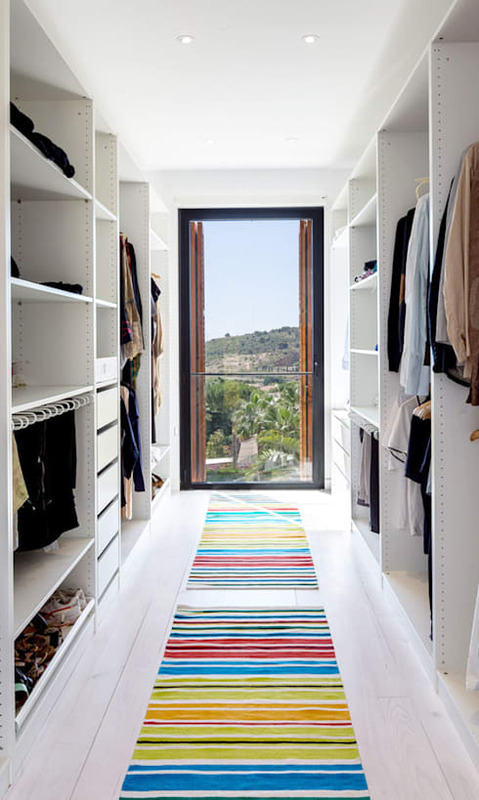 Which brings us to our next great de-cluttering method: a well-thought-out, neatly designed compartmentalised wardrobe for the bedroom and private quarters. Even when we own just a basic array of personal effects and clothing, we still need a good amount of space to keep it all in check and well out of the way. Typically, after a long day's work, clothes and shoes tend to be dropped and hurled around the bedroom; piles can form and bedroom clutter can become a real problem. But it doesn't have to. Take a cue from this fabulous example: here we're privy to a very neat and well-ordered walk-in robe which, though compact, offers a more than adequate array of compartments for everything to find it's place. One of the key qualities we always look for in great storage is anything that draws little to no attention to itself. Keeping your household items truly hidden around the home is guaranteed to be a successful method of keeping clutter in check. Look no further than this excellent offering: a series of five different sized storage compartments, replete with draws and sections, hidden away on rolling frames stealthily into the wall. 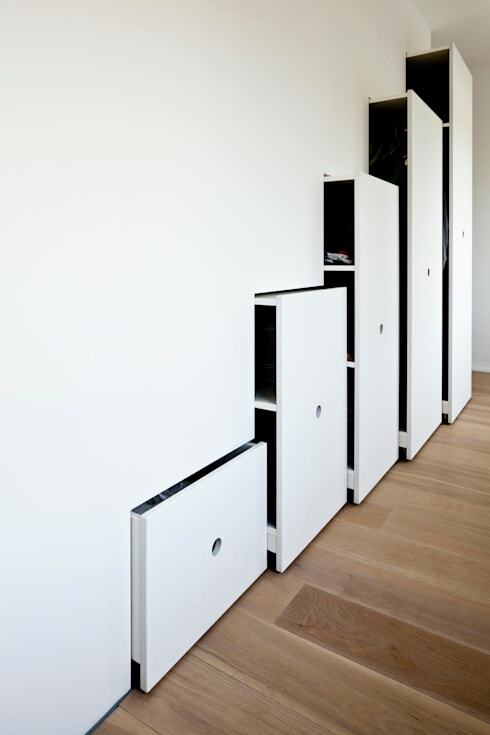 It could be installed in the bedroom, hallway, or any wall in the house, providing ample storage in an aesthetically great way, with such little effort and maximum accessibility. When all else fails, throw it all under the bed—that's what we did when we were young, didn't we? Well, that line of thinking is still a pretty good one when it comes to de-cluttering the bedroom. These days, beds are designed for so much more than just rest and slumber: they're multitaskers, capable of housing all kinds of excess storage items. 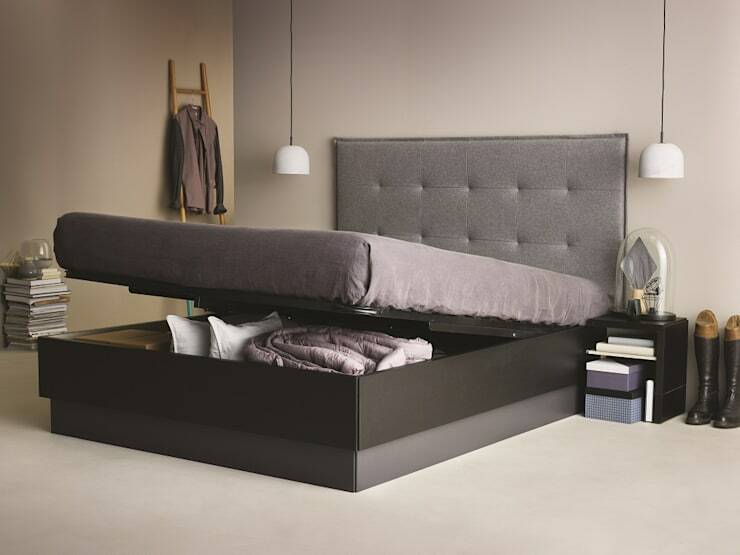 Take this excellent example: a bed with a fully retractable mattress, providing effortless access to a wealth of storage space beneath. Very neat! Next to shoes, books and magazines are up there as one of the more prominent perpetrators of household clutter. 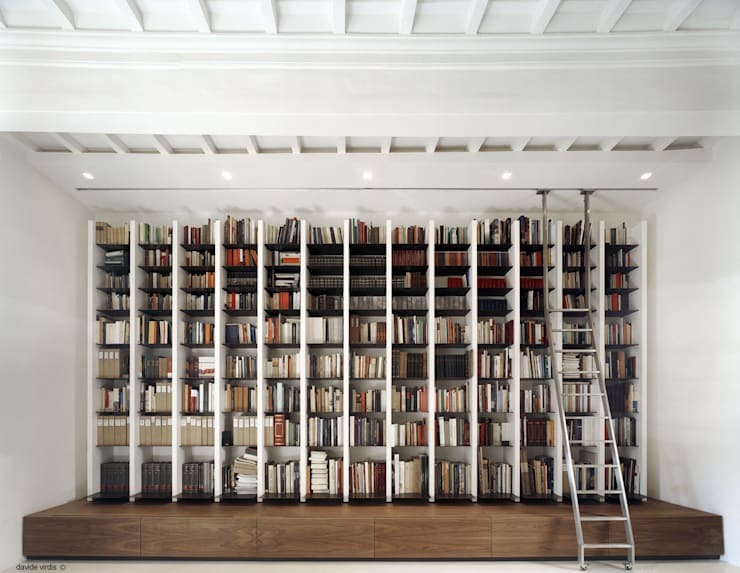 If you're a bookworm, or someone who like to collect a lot of reading material, it's crucial that you have a means of storing all your publications away when you're done reading them. For easy access, and a great counter to any excess paperback clutter, consider installing an ample bookcase for your living room or study. As well as keeping your titles in check, it'll make for a fabulous feature and design statement too. Do you have any other tips on how to keep clutter away? We’d love to hear from you in the comments section below!